It is the weekend and I have more free time in my hands so I am thinking it is time for another tutorial. 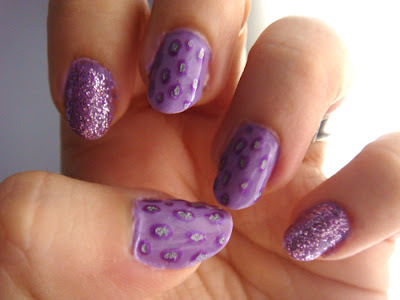 Here is one of my favourite patterns, animal print, combined with one of my favourite colours, purple. First here is what you are going to need. A lilac nail polish (I used OPI's Do you Lilac It), base and top coat (I used Seche Vite for both), a silver nail art pen (I used Sally Hansen's silver nail art pen), a deep purple and a purple glitter nail art polishes. 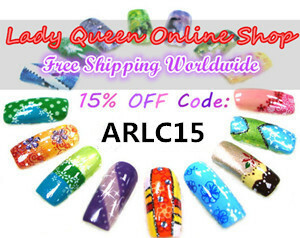 So after preparing your nails you apply a layer of base coat. Then two coats of the lilac polish. I really love glitter so usually I like covering one or two of my nails on each hand with glitter. In this case I chose my index finger and my little finger. 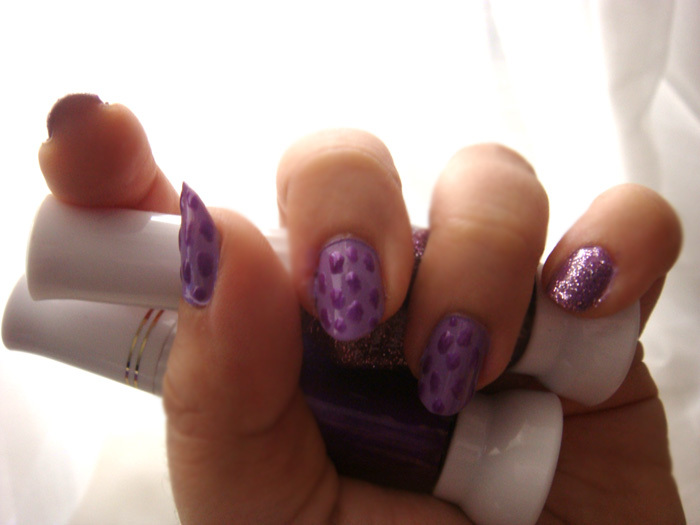 After applying a layer of the purple glitter polish on each, using the pen side of the dark purple nail art polish I drew large dots on each of my other fingers. After waiting for the dots to dry for a few minutes, using the nail art pen I drew smaller dots inside the big ones. And voila, animal print nails. I hope you enjoyed this little tutorial, I will make another one soon. That's so pretty and feminine. I need to wear purple more. Great tutorial! The nail art is so cute! 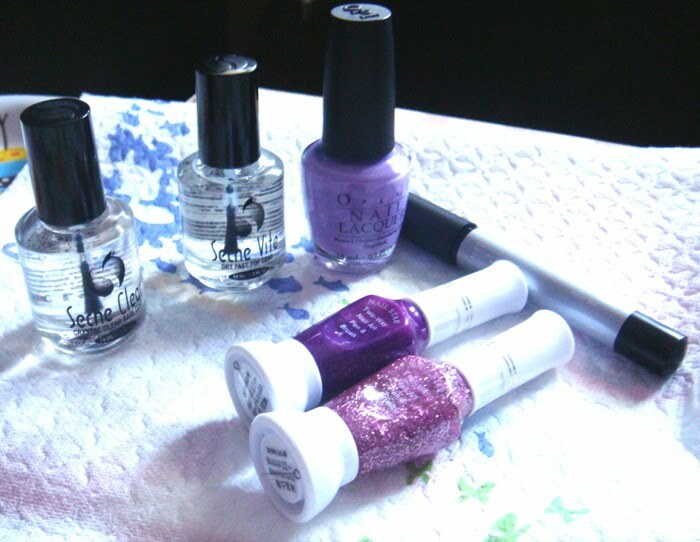 It's pretty and funky at the same time =) Those 2 way nail art pens are great to use. On another note I think you've just created a lemming for me with the OPI haha.